a favorite find | thoughts. 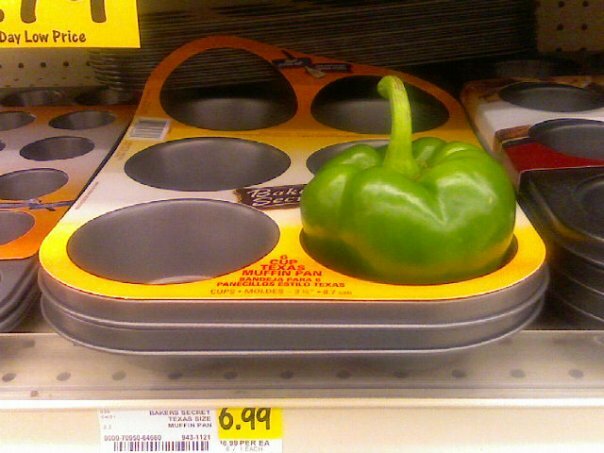 For $6.99 at Cub Foods, you get a nice muffin tin…and a bell pepper. This aisle is about as far away from the produce section as you could get. Who decides all of a sudden they don’t want a pepper anymore—and then discreetly plop it here?